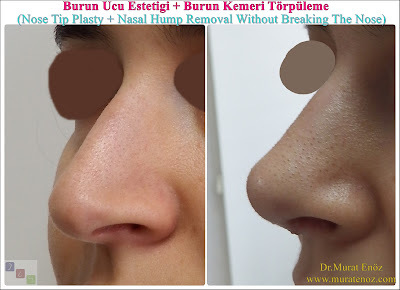 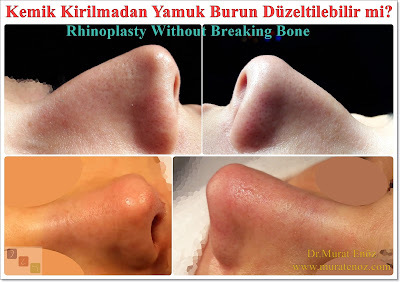 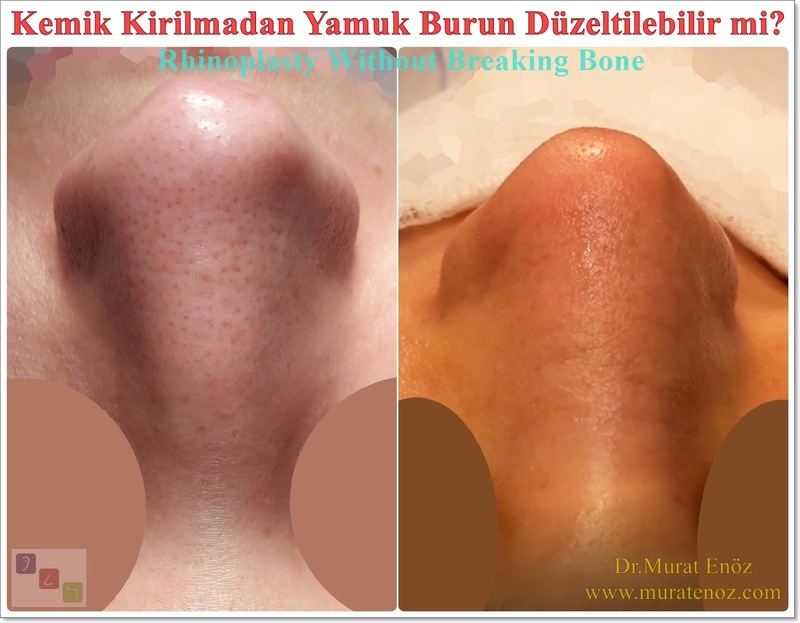 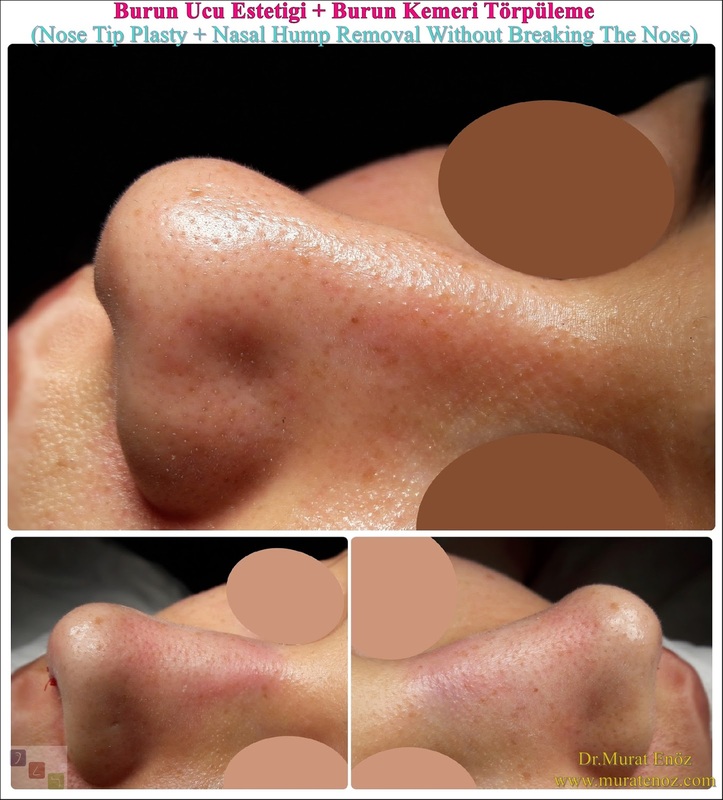 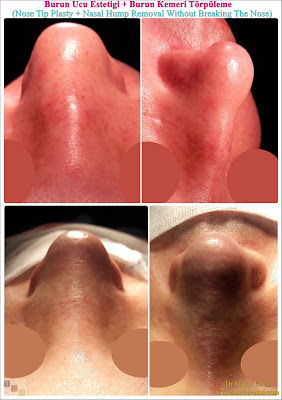 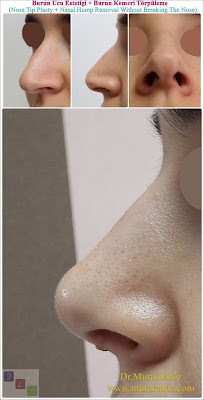 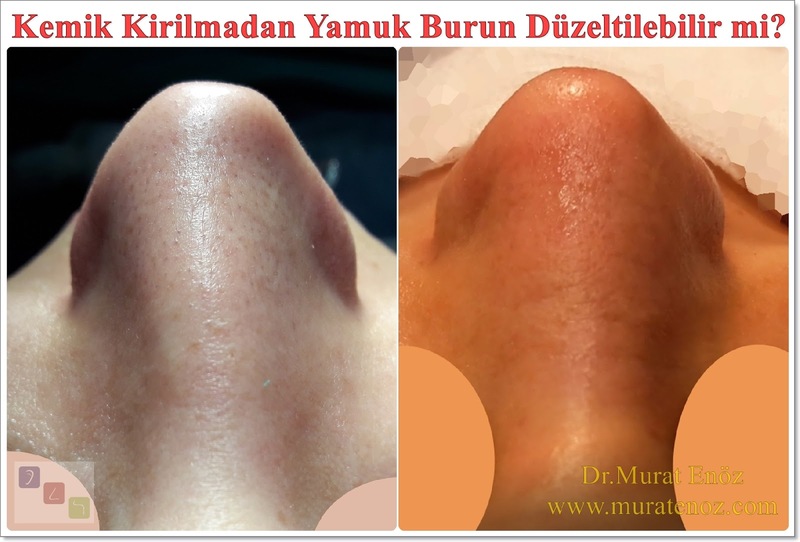 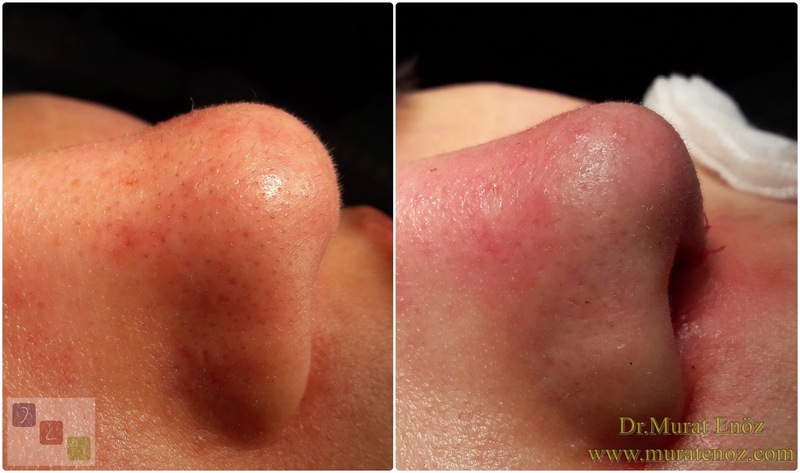 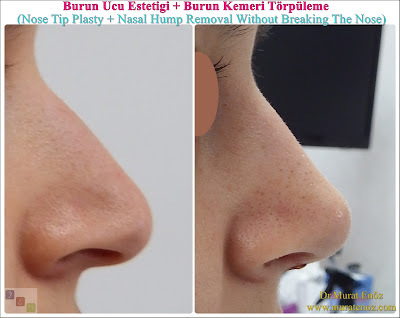 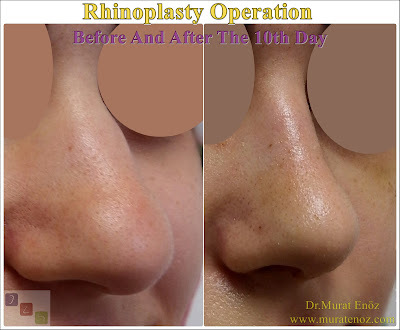 How to perform nose tip plasty operation? 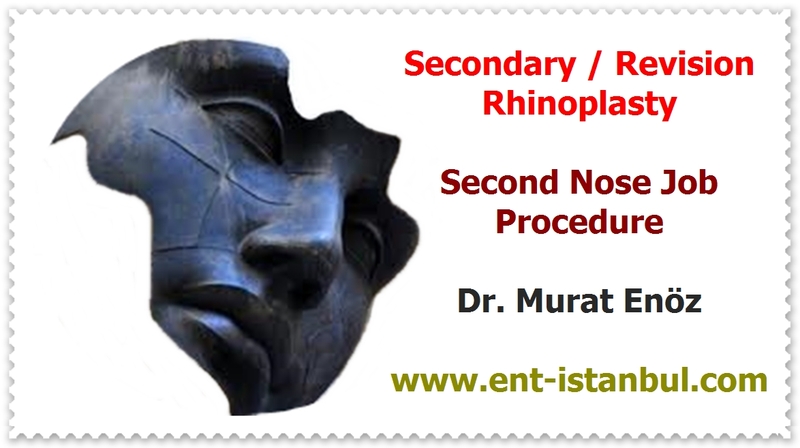 The procedure is usually performed under general anesthesia. 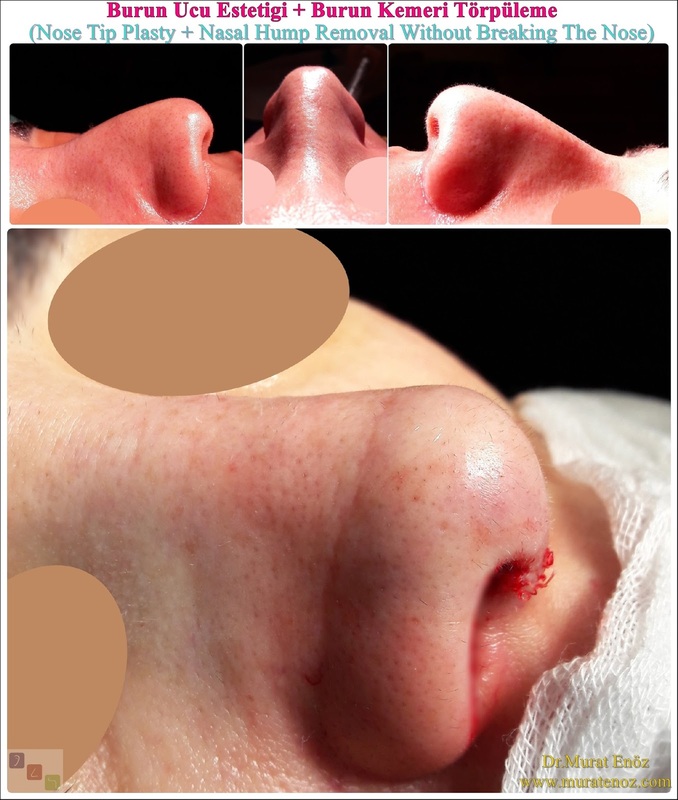 After local anesthetic inflation, a 5-point skin junction is made on the columella (the part dividing the nostrils). Nasal cartilages are revealed. 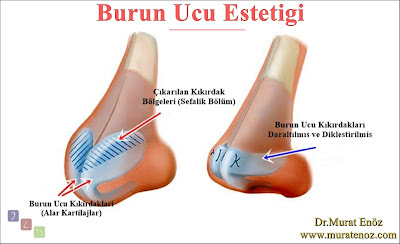 These are removed from the upper regions of cartilages (cephalic portions of alar cartilages). Sutures are thrown (transdomal and interdomal stitches) to narrow the angle between the inner and outer legs of the alar cartilages. 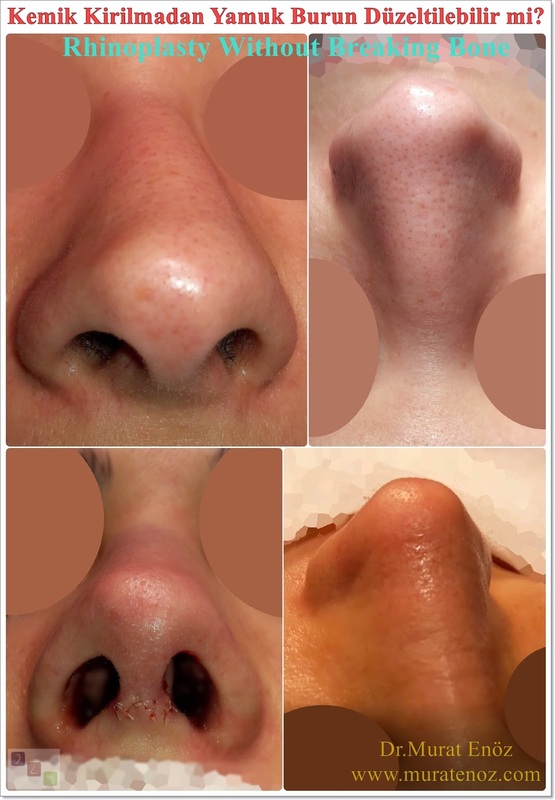 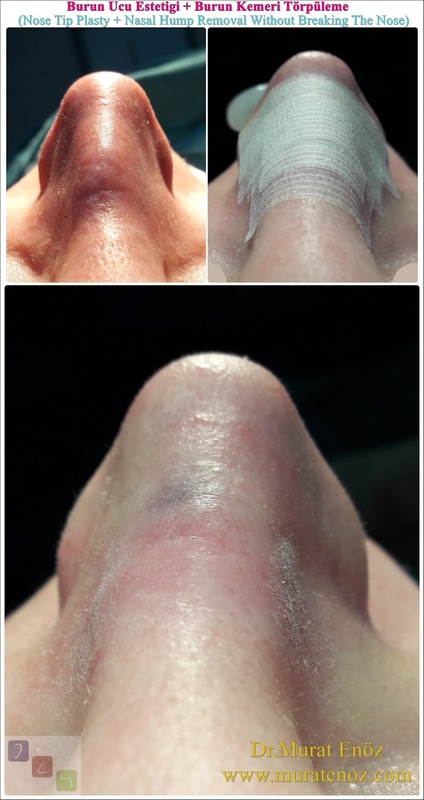 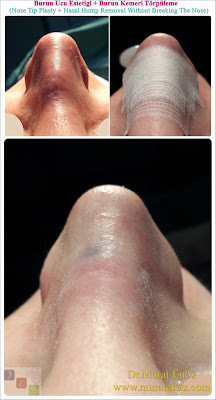 Between the inner legs of the nasal cartilage cartilage, a fine cartilage graft, obtained from the septum of the nose, is placed perpendicular to the nostril support and stitched on the inner legs of the nasal cartilages. 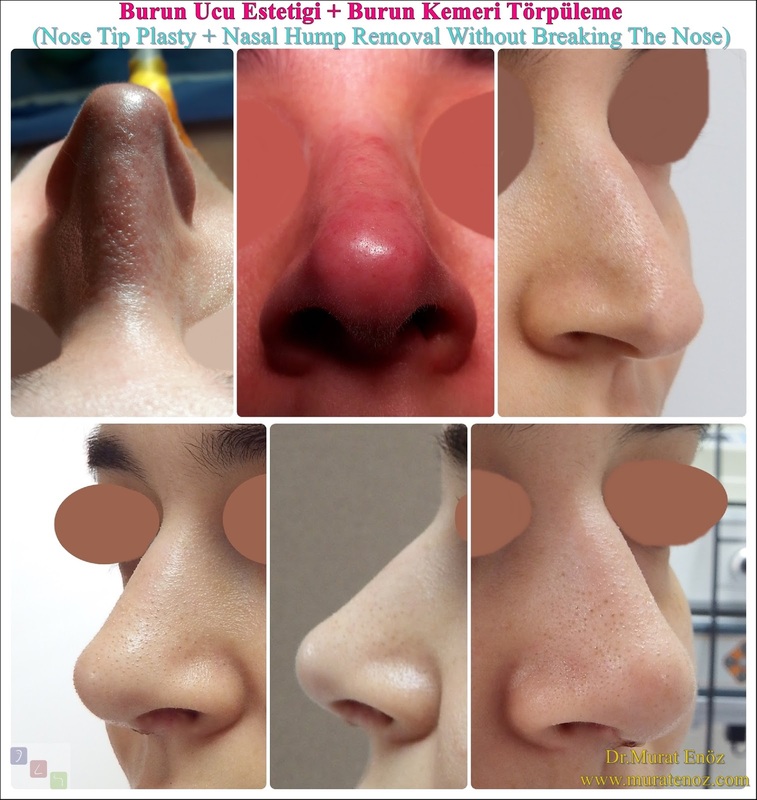 At the end of the procedure, subcutaneous tissue or cartilage grafts may be placed at the nose tip. The skin is sutured and the process is terminated. 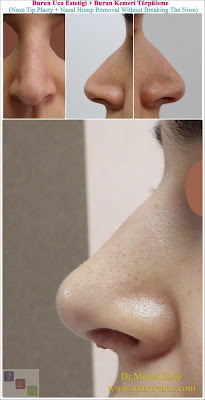 In general, cartilage curvature surgery (deviation surgery) and turbinate radiofrequency procedure are also performed. At the same time, functional and aesthetic problems can be eliminated. 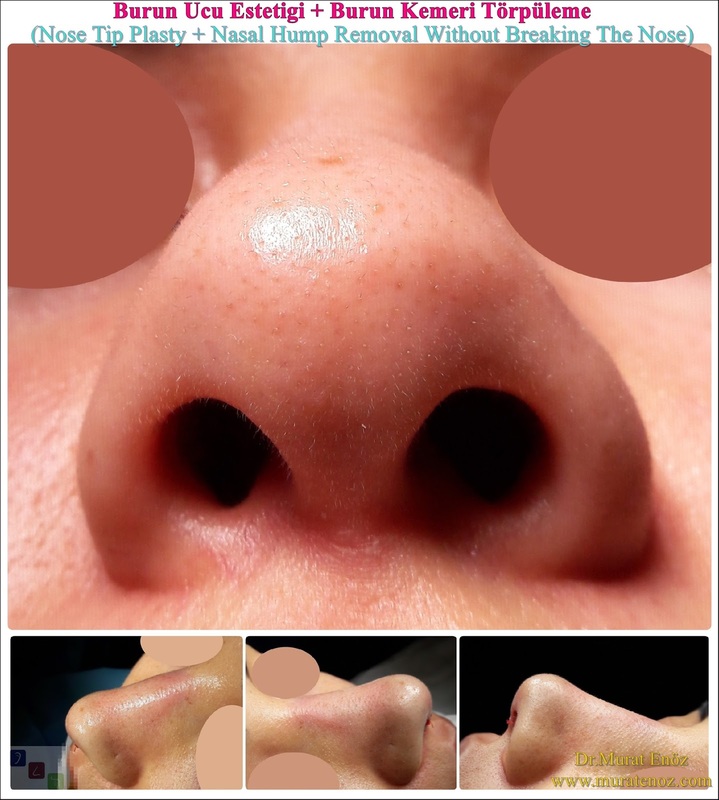 I do not prefer to use permanent suture material and apply additional cartilage grafts that may impair the natural appearance of the nose tip.